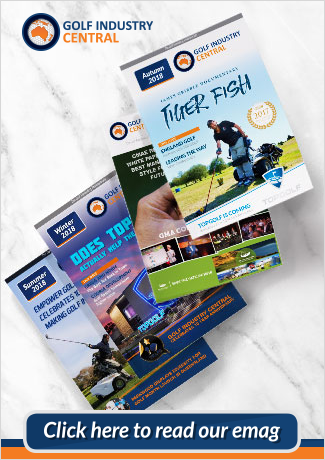 Golf Marketing Central helps businesses in the Australian and New Zealand golf industries find opportunities to grow their golf market share with creative and timely marketing strategies and campaigns. From conception to completion, Golf Marketing Central can become part of your marketing team to help plan and execute your next golf marketing project. Mike Orloff, a US and Australian PGA Member, has marketed and managed golf courses throughout Australia and the USA for the past 22 years for various levels of facilities from two to five stars. An innovative and experienced golf marketer, Mike was hand-picked by American Golf Corporation, the largest golf management company in the year 2000, to improve the performance of its first Australian courses on the Gold Coast. In the USA, Mike had a track record of finding creative opportunities to increase revenue at American Golf’s clubs. After arriving in Australia, Mike reviewed the local golf industry then launched a market-leading product that changed how golf was played at two of the largest golf clubs on the Gold Coast – Robina Woods and Paradise Springs (now Palmer Gold Coast and Palmer Colonial). The Mega Membership program targeted social golfers with a low sign-up fee to enable members to access ongoing discounts to play at these popular clubs. This marketing initiative targeted the changing demographic of golfers in the region. At its peak, 3,500 social golfers signed up to play at both courses, boosting the clubs’ revenue by $350,000 plus ongoing income. Mike has proven results and experience managing marketing campaigns that have increased market share and made profits for all types of golf clubs and golf-related businesses. Visit www.golfmarketingcentral.com.au for more information.